Fine Gardening magazine recently had an article on 10 outstanding succulents to try, which prompted my thinking — midst continuous snow fall and crazy temps — of how happy succulents make me. They teach us snowbunnies much about surviving the winter. They tolerate dryness by holding onto any moisture they can muster up, as best as they can. This is what gives them their beautifully bizarre shapes. Oh, they like water, don’t get them wrong, they simply require great drainage. I got to write on the subject in Northern Gardener magazine a few years ago. 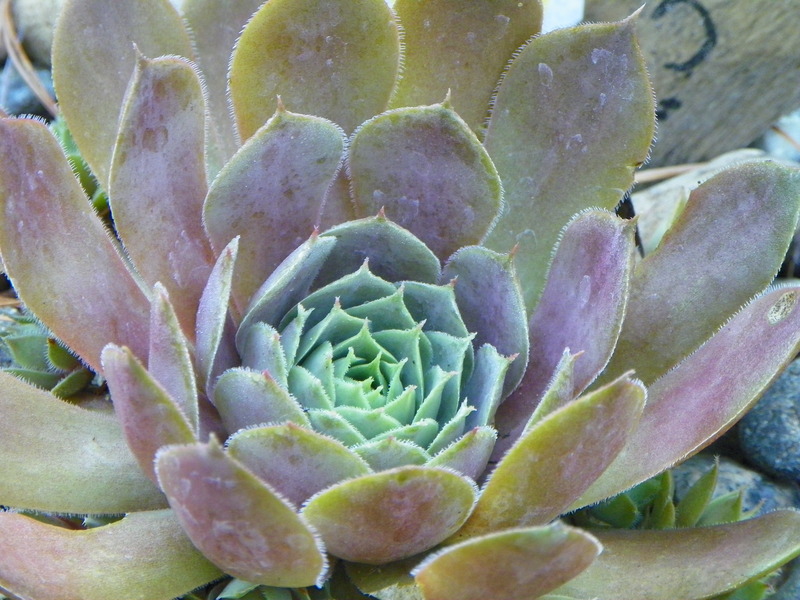 Read: Succulent Choices: Sedums Add So Much to the Garden. 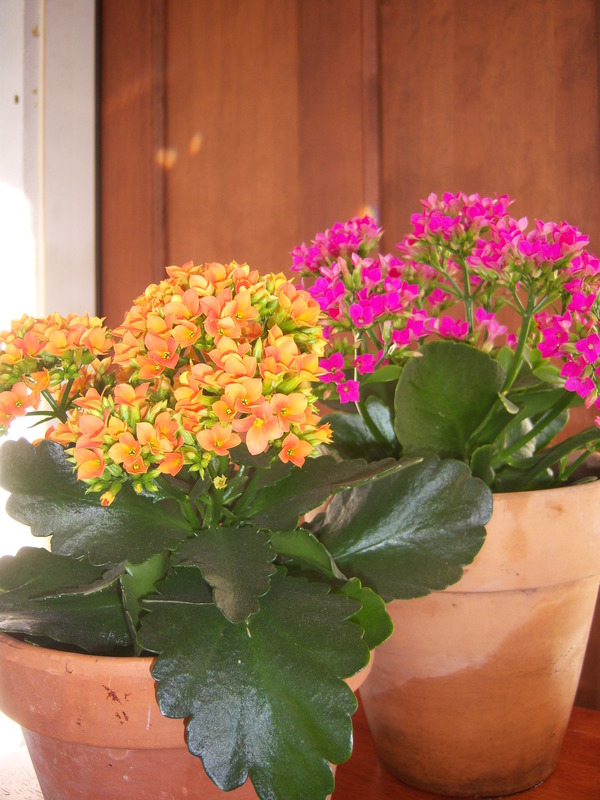 Now is the time to pick yourself up a kalanchoe. Delicate star-shaped flowers in pink, peach, yellow, fuchsia, purple, and red are long lived on waxy green foliage. They are easy to find in stores in late winter and spring. While researching the article, I stumbled upon a few succulents that I wasn’t that familiar with. Euphorbia. 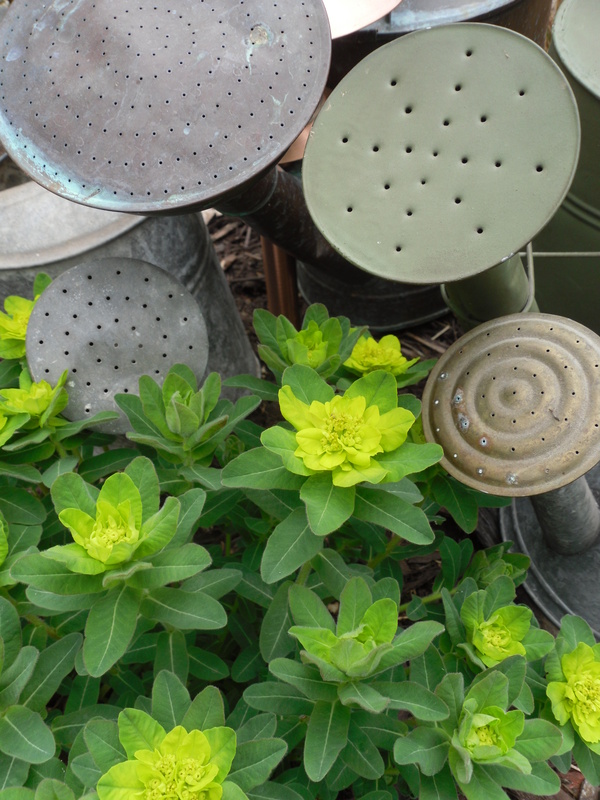 Commonly known as spurge, euphorbias have the great, low-maintenance characteristics of all succulents. What you think may be their flowers, are actually bracts (modified leaves). Think poinsettias, which are in the non-hardy limb of the family. These colorful bracts give the impression of flowers in the spring garden, when their fluffy pops of color are really a welcome sight! Myrtle or cushion spurge is a bright, fluffy welcome sight in the spring. They reseed prolifically, so you can have many plants around your garden if you so choose. Cutting them back after the bracts fade keeps them in check . Hardy cacti. 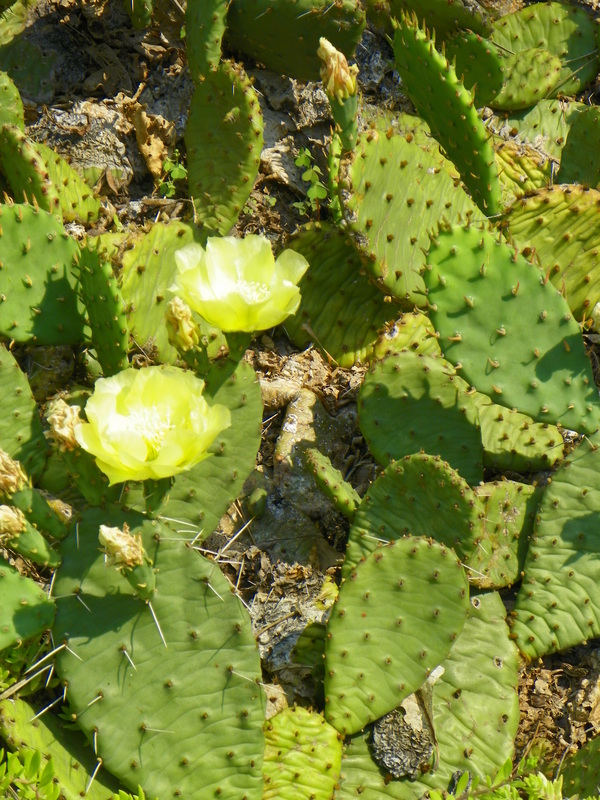 Opuntia are the “Prickly Pears” of the western US and Mexico. This large genius contains the most cold hardy of all cacti. The prickly pear. They can look sad as could be in the spring, but they perk up and offer stunning blooms. Yucca. There is something distinctly non-Minnesotan about yucca, with its acupuncture sharp leaves like swords and nearly 6-foot-high stalks producing bell-shaped flowers. That said, they are striking specimens and several varieties do well in the North. They love to bake in the sun and demand well-drained soil. The varieties below are hardy to zone 4 and bloom from July to August. Yucca filamentosa ‘Ivory Tower.’ Height: 60 inches. Width: 36 inches. Green foliage with white flowers. 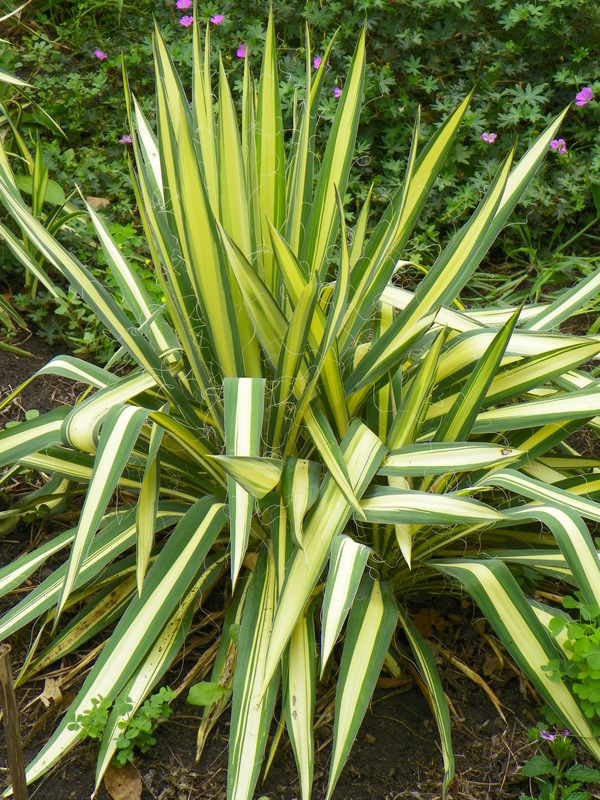 Yucca filamentosa ‘Color Guard’ PP9393. Height: 72 inches. Width: 48 inches. Green and white variegated foliage with white flowers. Yucca glauca. Sometimes referred to as soapweed. Height: 72 inches. Width: 36 inches. A more native looking yucca with matte green leaves and white flowers. Yucca is a strong presence in the northern landscape and can really stand up to whatever Mother Nature hands her. 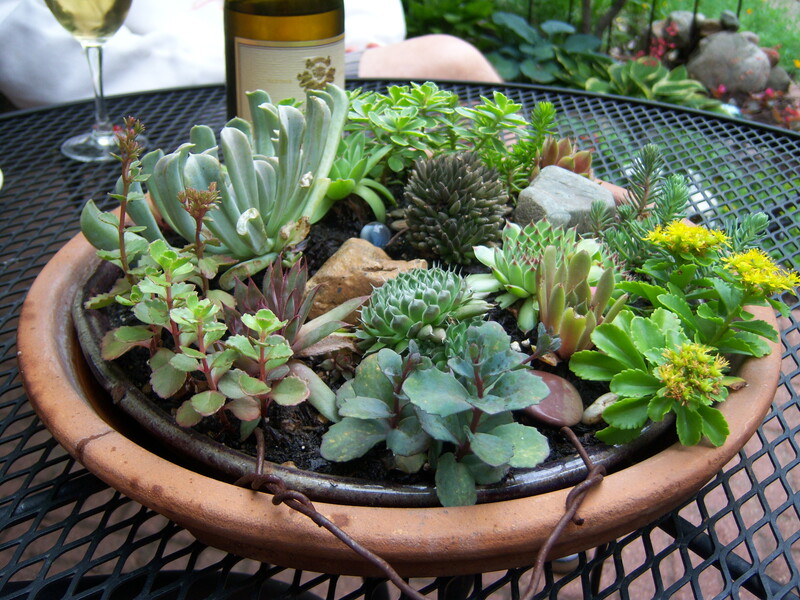 Maybe you would like to create your own succulent dish garden for your patio table. Here’s a link to my step by step instructions. And of course, a shout out to my favorite succulent. The good old-fashioned mother-hen-and-chick. ‘Silverine’ hen and chick. Tuck them in anywhere that’s sunny and well-drained and let them take off. In one of my former yards, in North Florida, Prickly Pear grew near the sand dune, and I’m told people here make Prickly Pear jelly.